As the top MT Vernon Tree Company, MT Vernon Tree Service has been providing quality tree care services to MT Vernon and the surrounding areas for over 30 YEARS. 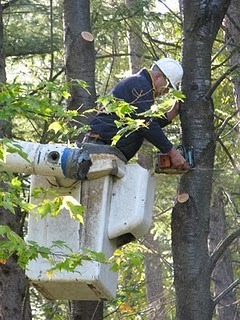 These services include Tree Trimming and Tree Pruning. There are several important reasons for trimming and pruning a tree, but the most important is for the health and vigor of a tree as well as its balance, beauty and stability. Other reasons include ensuring the safety of people and properties surrounding the tree and also providing clearance from roofs, windows, overhead wiring, paths, streets and neighboring properties. There are many factors that affect tree pruning recommendations such as tree health and tree location, and the needs will vary between species and individual trees. If you are looking for a tree company in MT Vernon give us a call at 914-712-5599, we have the proper knowledge and experience to trim and prune your trees properly!